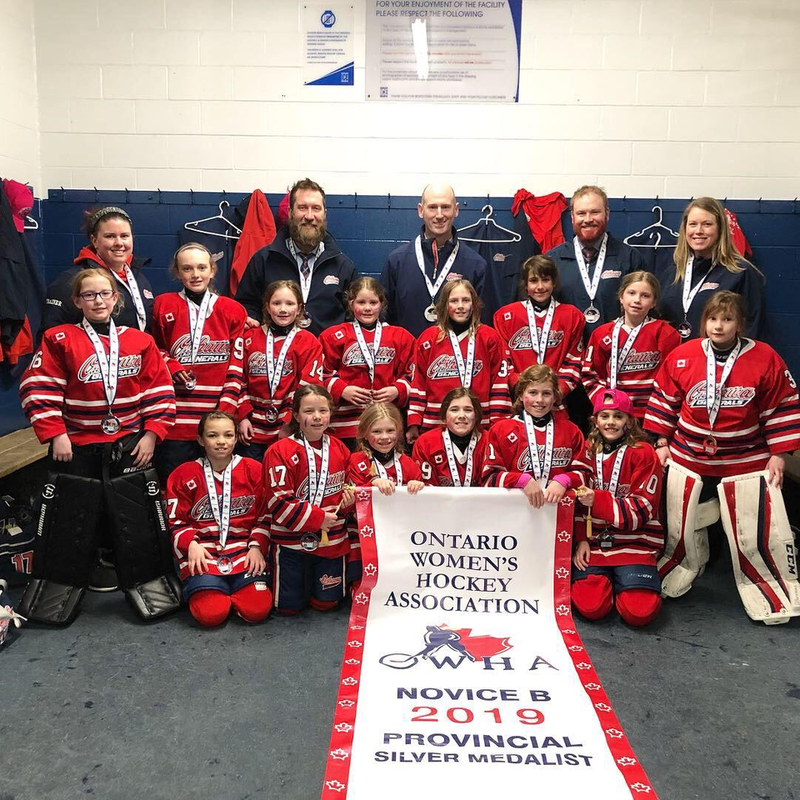 Novice B win Silver at Provincials! 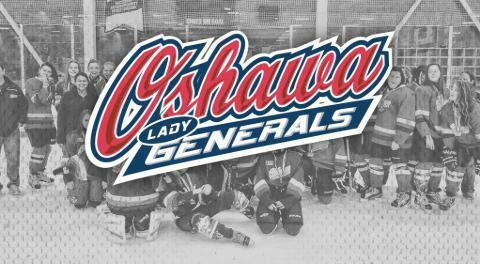 On the weekend of April 5-7 the Oshawa Lady Gens Novice B team competed in the provincial championships. The girls rose to the occasion and played their best hockey of the season. The girls finished the round robin with two wins and a tie earring first place in their pool. 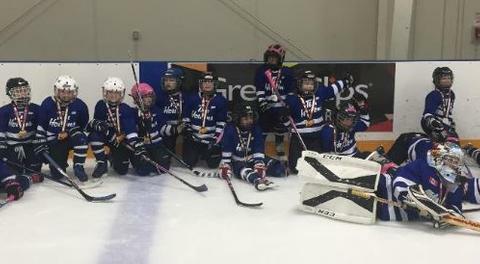 They beat Stoney Creek 4-1, tied Nepean 3-3 and beat London 4-1. In the quarterfinals the girls beat Kingston 4-1. 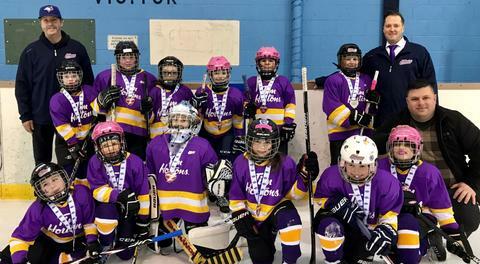 Kingston had dropped down from the A division for provincials. In the semifinal the girls beat a tough team from South Huron 3-2 to reach the championship game. 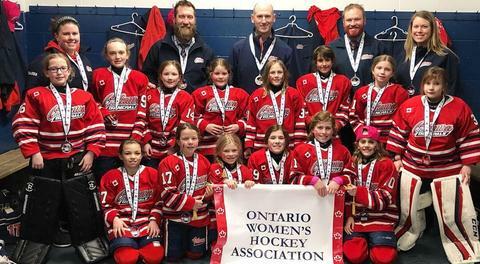 The girls played hard in the championship game against North Simcoe but came up short and brought home the Silver medal. It was a great season for the girls. They worked hard all season and banded together for a fun and successful year. 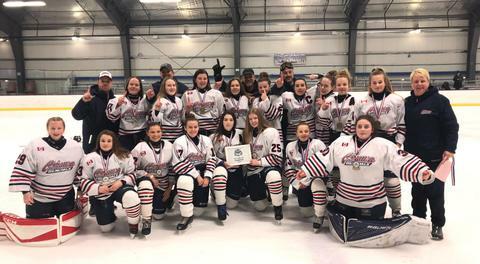 The girls won gold in two tournaments and finished in second place in their lower lakes division. 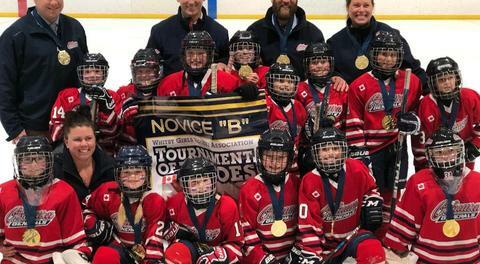 The goal at the start of the season was just to have enough girls to have a team and they ended up being the second best Novice B team in the province! The team staff and families are so proud of these 14 girls! 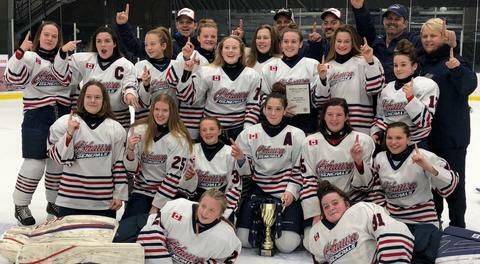 Bantam B Rocks Vermont Gold!